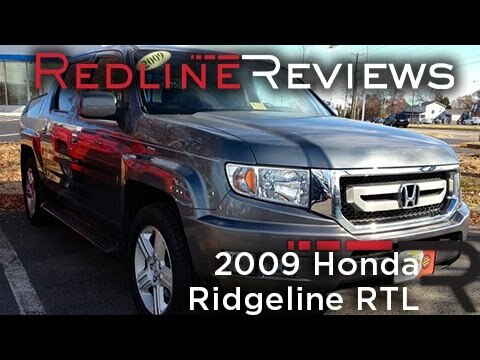 If you're looking for a medium-sized pickup with outstanding resale and build quality, the 2009 Honda Ridgeline may be just the ticket. A locking weather-resistant trunk positioned in the cargo bed floor is easily accessed via the dual-action tailgate, which flips down in the normal way or swings open like a door. It has a trunk in the bed that is the size (or larger) than most sedan trunks (dry storage!). I like my Honda because is a versatile vehicle. I LOVE the trunk in the bed of the truck, the fact that it sits higher than a car, has a backseat with more legroom than my Honda Civic (previous vehicle) did, has a bed that can be used to transport things, and I can transport two children in carseats and a full load of groceries without anything getting wet (it is WA after all). It is also a low maintenance vehicle. My 2009 ridgeline. This vehicle is very practical and Versatile. My 2009 Honda ridgeline is a very reliable dependable pickup truck. It is very Versatile and practical vehicle. My only complaint about this vehicle is the gas mileage is only about 16 mpg. It is equipment with 4 wheel drive which comes in very handy in the northeast. When you think of a truck, this is not it. . It's a lot better. The truck has amazing compartments for storing and I love that the tailgate opens horizontally! It makes it so easy to put groceries in. It drives smooth and it fits my kids and dogs well.